The Perigeaux Vineyard and Winery wine club offers our members the opportunity to receive special offers and invitations to private events. We have two exciting ways for you to keep enjoying our award-winning wines right in the comfort of your own home. To join one of our clubs, please contact us at the Tasting Room and we’ll be glad to set up your first shipment of our award-winning wine! Perigeaux’s Case Club is designed to provide you with an easy way to gain increasing discounts on our premium, limited production wines as your purchases exceed each case threshold. There is no cost to join and you can sign up at the tasting room or by calling the tasting room at (410) 586-2710. No fee to join or remain a Case Club member. 10% off all wine purchased after first case. 20% off fifth case. 30% of the tenth. Special invitations for you and a friend to Case Club members – only events. After receiving your Case Club Card, use it on every bottle purchased in the tasting room to receive credit toward the next case club level. After purchasing the first twelve bottles, you’ll receive a 10% discount on all subsequent wine purchases. Your first case of wine may be purchased all at once, or a bottle or two every few weeks over the year. The credit for each bottle purchased will be credited in your Case Club card toward your next discount. As you continue to enjoy our great wines, you keep accumulating credit toward additional discounts. You will receive 20% off the fifth case purchased and 30% off the tenth case purchased. 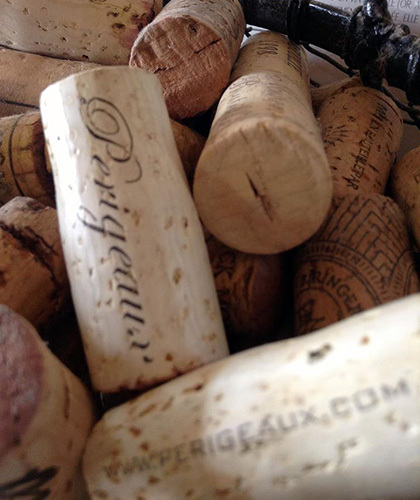 Join the one of the Perigeaux Wine Clubs Today! When purchasing online, enter your Case Club card number with your order to receive credit for that order toward your next case discount. Please ensure someone 21 years of age or older will be available to sign for each delivery. As with all our online orders, if you would prefer to save the shipping fees, wine can be available for pickup at the winery. Second, we have our Wine Maker’s Circle. The Wine Maker’s Circle is a great way for friends of Perigeaux to bring our finest wines, including limited production wines, into their homes. 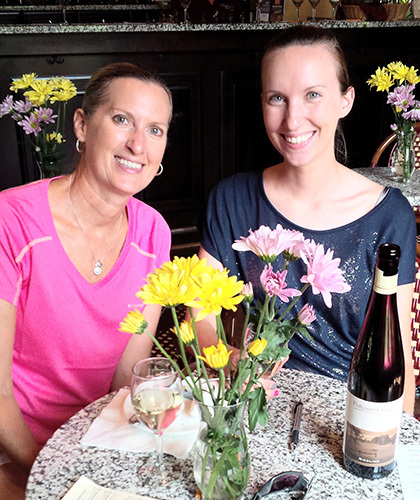 Perigeaux’s Wine Maker’s Circle recognizes those individuals dedicated to the enjoyment and appreciation of our fine wine as the vineyards and winery continue to grow and make Maryland’s best vintages. The Wine Maker’s Circle is made of friends of Perigeaux who desire to become more familiar with our viticulture practices and wine-making techniques, and who want to enjoy our unique and premium limited production wines. In addition to the benefits of the Case Club the Wine Maker’s Circle includes invitations to barrel tasting, pre-release parties, harvest celebrations, and other events. The Wine Maker’s Circle also provides an easy way for friends to bring our wines to their dinner tables. This is our finest wines – including some very limited production. Every shipment will include some of our best recipes selected especially for pairing with the wines. Every other month, starting in February, our winemaker will notify you by e-mail of the selections available to compliment the season. Once you confirm your wine selections, we’ll ship these directly to you. Please ensure someone 21 years of age or older will be available to sign for each delivery. If you would prefer to save the delivery fees, wine can be available at your request for pickup at our tasting room. Special invitations to Wine Maker’s Circle members-only events. Currently shipping to Maryland, Virginia and District of Columbia addresses. Customers may still order online and pick up their wines in our tasting room during normal business hours. 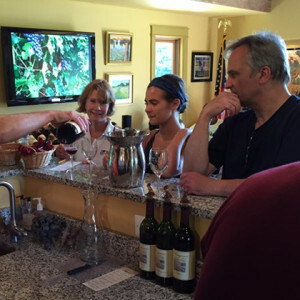 Both Wine clubs include complimentary tastings in our tasting room and many other perks.